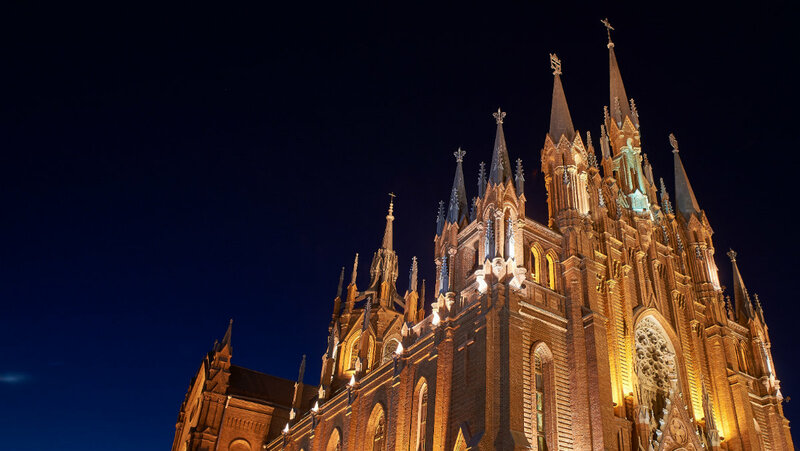 For the first time in Russia”The Planets” by Gustav Holst will be performed on two organs: the Cathedral’s big Kuhn and an American theatre organ – by the Artbene duo. This majestic composition was the precursor of Hollywood’s contemporary musical style. 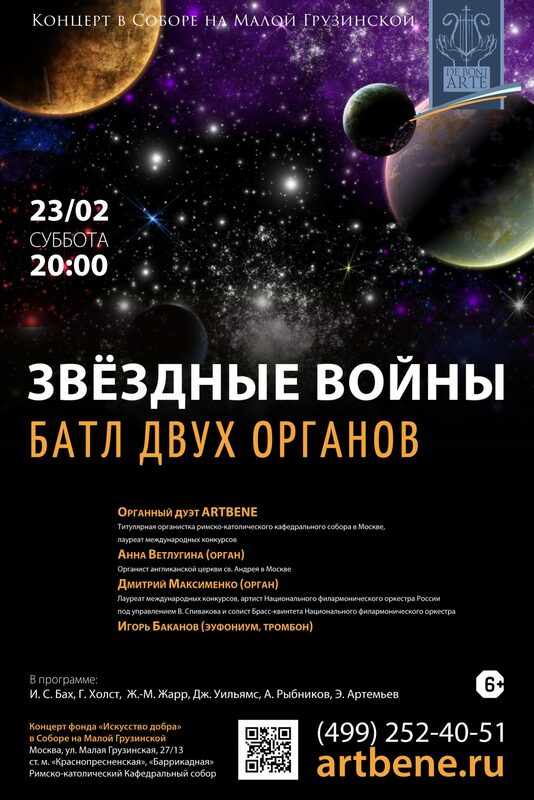 Besides, the concert features a suite from the “Star Wars” and cosmic music by J.-M. Jarre and A. Rybnikov. Our special guest is Igor Bakanov (euphonium, trombone), soloist of V. Spivakov’s National Philharmonic Orchestra.